A Naturopath is a medical practitioner who practises an holistic approach to wellness and utilises lifestyle and nutritional advice together with a range of herbal and nutritional supplements, which allow the body to heal itself. 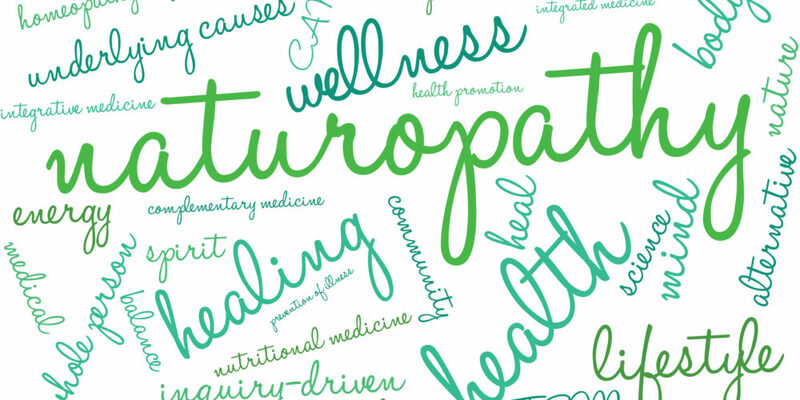 A Naturopath will treat the whole person, not just the symptoms, allowing the body to return to balance. By treating holistically, the cause of disease is treated with the aim of avoiding a lifetime of medication. It is a science based form of medicine that also places great emphasis on how you, the client, are feeling. We listen. Disease stems from an imbalance in the body. When these imbalances occur, the body will work hard at “re-balancing”. This re-balancing allows the body to return to its natural, healthy state (homoestasis). Often poor diet, high levels of stress and poor lifestyle choices make it impossible for the body to regain this balance. This is called disease – or more appropriately, dis-ease, as the body is not at ease and is fighting hard to restore homeostatis. Our modern lifestyle and diet are the main contributing factors to dis-ease. As a society we have strayed too far from what nature intended for us. Our diet is filled with low nutrient, inflammatory, processed foods. We are continually stressed and our bodies are constantly fighting to restore balance. The energy required to restore this balance is enormous and eventually if we don’t address the dietary and lifestyle issues contributing to our ill health, disease will take over. A Naturopath utilises a range of modalities, the most common being nutritional medicine, herbal medicine, dietary and lifestyle advice. Traditionally regarded as the father of medicine, Hippocrates is quoted as saying “let food by the medicine and medicine by the food.” In our modern society, people have lost their way with regards to nutrition. Too many of us eat just to satisfy our hunger, not thinking beyond that satisfaction to the nutritional requirements of our body. This, combined with the nutrient depleted soils that our crops are grown in, has led to our bodies becoming deficient of certain nutrients. A Naturopath will educate you on what your body needs to function at optimum efficiency and to repair damage, so you can take control of your health through food. Throughout human history, herbs have been used to treat and prevent illness. Around 50% of all pharmaceutical drugs have been derived from nature. The difference though between pharmaceutical drugs and the natural herbal alternative is that the drugs isolate the chemical components (and then often make a synthetic version), which invariably leads to side effects, some of which can be severe. By using the herbs and plants as nature intended, the side effects are eliminated. Herbal medicine is a heavily researched area of medicine and combined with thousands of years of anecdotal evidence on the efficacy of herbs, it is a safe and effective form of treatment. There are 2 main causes of dis-ease. Diet and lifestyle. Even when people are predisposed to genetic conditions, it is nutrition that turns the genes on or off. Poor diet contributes to disease by starving your body of the nutrition required for performing its millions of functions. Without the correct amount of these essential nutrients, the body becomes out of balance and dis-ease sets in. It is estimated that food grown today has up to 50% less nutrition that food grown 60 years ago because of the depletion of minerals in the soil. This means that we need to eat far more fresh fruit and vegetables than we did 60 years ago, just to get the same level of nutrition. The problem is that most people are eating less fresh fruit and vegetables, relying more on processed foods. Even if you have a nutritionally balanced diet, if your digestion is compromised you will not be absorbing enough of the nutrients you are eating. Digestion can be compromised by antibiotics, eating excessive sugar and refined foods, alcohol and stress. Stress and anxiety, alcohol, toxins, pollution and smoking contributes greatly to dis-ease for a number of reasons. Excessive stress and anxiety can lead to a depletion of certain nutrients like magnesium, vitamin c, the B vitamins and more. This depletion then leads to the body becoming out of balance leading to dis-ease. The continual bombardment on the body by toxins and pollutants puts excessive pressure on the body and causes inflammation and cellular damage which can then lead to dis-ease. By addressing your dis-ease through pharmaceutical drugs, not only are you not treating the cause of dis-ease and setting yourself up for a lifetime of taking medications, but you are further putting your body out of balance by creating new problems (side effects from the drugs). Your body will still be trying hard to restore balance which drains your body of energy. It is only by choosing a more natural form of medicine that the causes of dis-ease can be addressed. By working with a Naturopath to restore your health, you will be taking your health back into your own hands. By learning about how diet and lifestyle affect the body you will be better able to prevent future health issues.